Chris Pruess, senior systems architect in Information Technology Services (ITS), has received the 2015 Information Technology Leadership Award in recognition of her exemplary contributions to the university’s IT community. The award, co-sponsored by the IT Leadership Development Team and the Chief Information Officer (CIO), was presented to Pruess during the annual UI Tech Forum, attended by hundreds of IT professionals June 15 at the Iowa Memorial Union. Pruess has worked at the UI for nearly 35 years and has been a significant contributor to campus on issues involving best IT practices, as well as serving as a very strong role model for women in IT. Pruess manages the Directory and Authentication (DNA) Services group, in Administrative Information Systems at ITS. The DNA team provides identity and access-management solutions for campus. Their service portfolio includes identity lifecycle management for electronic and physical identities, university IDs, directories and the identity data warehouse, Hawk Alert, ID card and electronic door access system support. She co-founded and led for seven years the ITADmin community, a highly active group of about 80 IT professionals who gather monthly to discuss topics such as Active Directory-enabled services and campus IT practices. This community is regarded as the “gold standard” of IT campus communities. 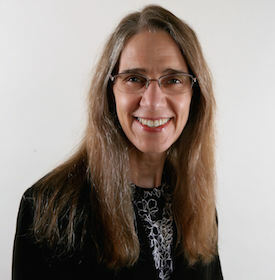 In 2004, she received a group award for a project that improved the quality and reliability of email by minimizing computer spam and viruses delivered to campus systems. In 2004, she collaborated with the College of Liberal Arts & Sciences IT staff to develop the process used to migrate 400 plus users in CLAS from Novell Directory Services to Active Directory. In 2007, she received a group award for efforts to develop a centrally supported, widely integrated Course Management System named Iowa Courses Online (ICON) in collaboration with each college on campus. Talk of her upcoming retirement evokes a certain amount of angst on campus, as many have personal stories about the contributions she has made to their lives. Many co-workers agree that Chris knows how to get the right people in the room at the right time to accomplish the right tasks. The annual IT Leadership Award is one element of an initiative to build a strong IT community that fosters collaboration across university units and promotes individual leadership development. In the past several years, nearly 200 IT professionals on campus have advanced their skills and built relationships through leadership workshops and programs. The IT Leadership Development Team also sponsors the “What’s On Your Mind?” lecture series, which focuses on issues currently affecting the campus and provides an opportunity for campus leaders to share insights on leadership. Any UI employee can nominate a candidate for the award. The nomination process is announced in the spring and includes statements that identify ways these individuals have provided leadership by their level of campus engagement and impact to community IT projects, as well as their initiative and professional growth. This year, 10 excellent candidates were nominated. For more information on leadership development in the university’s IT community, visit http://itcommunities.uiowa.edu/it-leaders-program or contact Jenifer Steil, IT manager of CLAS Technology Services and chair of the IT Leadership Development Team at jenifer-steil@uiowa.edu.